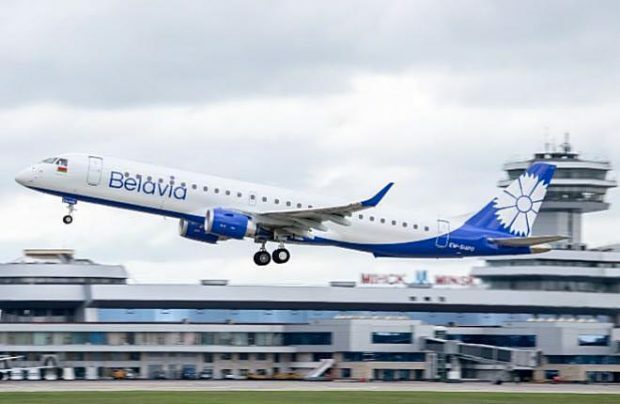 Belarus’ main air gateway saw its traffic increase by 8.7 per cent over the same period last year, reaching 1.949 million passengers in the first half of this year, thanks mainly to the expansion of Belavia, the Minsk airport’s base airline. The airport handled 12,481 aircraft movements in the first six months, the country’s Ministry for Transport and Communications reports. Passenger traffic growth slowed somewhat, compared to the first quarter of the year, when it registered a 10.5 per cent improvement. In June alone, 463,100 air passengers travelled through Minsk, up 8.9 per cent year-on-year, while the number of aircraft movements increased 6.6 per cent to 4,481. So far this year, the highest growth rate was recorded in January, when the airport served 278,100 passengers, 13.3 per cent more than in the same month last year. However, in April, the growth rate dived to 5.5 per cent, even though the number of passengers reached 318,400. Minsk’s impressive traffic growth has been mostly sparked by the rapid development of Belavia, the airport’s base airline. The national flag carrier has continued to expand its fleet, adding an Embraer E175 in April, followed by two more brand new Embraer E195s in May and June. The airport is also progressing with its focus on attracting new airlines whilst also further realising its transit potential, which increased greatly after Russia and Ukraine closed direct air connections in 2015, although the organic growth swing started in 2003. This is due to the country’s favourable geographical location at the crossroads of major airways connecting the CIS region with Europe, the airport explains. At the end of 2017, the airport reported a 20 per cent traffic improvement on 2016, up to 4.115 million passengers. This upswing correlated with Belavia’s 20.6 per cent growth when the airline was accountable for three million air passengers travelling through Minsk. Meanwhile, Gomel airport, which serves the country’s second largest city, some 300 km to the east of the capital, is expected to open its second runway by November and may need to upgrade its terminal facilities due to growing traffic. Russia’s S7 Airlines (Sibir) launched scheduled services between Moscow (Domodedovo) and Gomel, in May, becoming the first Oneworld airline alliance member to serve the country.